It seems the world is going mad. My country is falling apart yet still committing itself to building a railway line nobody wants. The US is on the brink of electing a megalomaniac dictator that would give any James Bond villain a run for their money. Then what do we get? Bloody CLOWNS! Not just any clowns, evil clowns! Now I don't like clowns. They give me the heebie jeebies. There has been an epidemic of sighting of these scary clowns (all clowns are scary to me though) all over South Yorkshire and the rest of the country. Some have even been reported to have been carrying knives. Between 21 September and today (12 October), concerns have been raised by 61 members of the public relating to incidents involving people dressed as clowns in South Yorkshire. The incidents include people being dressed as clowns knocking on windows and doors, and children and adults being frightened. 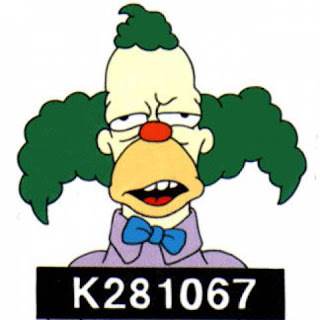 There have also been two reports of clowns with knives, which are being investigated by police. An incident last night (11 October) is also under investigation after a 17-year-old boy was assaulted by a man dressed as a clown. Superintendent Colin McFarlane said: “There is a clear distinction to be drawn between young people who might be dressing up as we move into the Guy Fawkes and Halloween period and those that are dressing as clowns in order to commit public order offences or harassment. "Clearly those that are crossing the threshold of criminality and especially if they are carrying weapons will be dealt with accordingly. I need people to understand that consequences of their actions and to take responsibility for them - South Yorkshire Police will not tolerate criminal behaviour. This happened about 3 years ago and quickly fizzled out. I hope this goes away a quickly as it arrived. I haven't had the misfortune of coming across one of these costumed monstrosities. Not yet anyway. 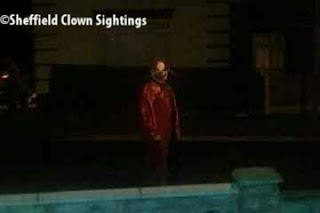 Did I mention that I hate clowns?